Danny Saenz, President of BRACE Integrated Services – Southwest joined the company in 2006 bringing with him a civil and mechanical background. Throughout his tenure with BRACE, Saenz has held the position of Vice President of Operations, Regional Manager, Sr. Project Manager and Project Manager. He has developed a strong foundation in the power generation, aggregate, fabrication and industrial service markets. Danny will be responsible for embedding best practice processes, managing key customer relationships, and resource planning efficiencies across the BRACE Southwest team. He will also be responsible for fostering the high-performance safety culture as well as assuring the continued accreditation of VPP Mobile Workforce status. Danny has a Bachelor of Science in Construction Science and Management as well as Bachelor of Business Administration in Finance from the University of Texas in San Antonio, TX. 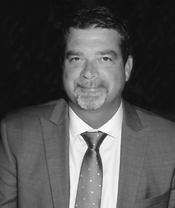 DeWayne Harmon, President for BRACE Integrated Services – South Central, has over 32 years of experience within the industry from Brock Services, LLC, Atlantic Scaffolding, Miken Specialties, LTD, and Cherokee Construction Company. DeWayne will be working extensively with corporate management in all phases while overseeing the safety, financial, operations, planning and forecasting in regards to establishing and managing the South Central Region. DeWayne continues to deepen his knowledge of the industry by attending Louisiana State University’s Executive Development Program, classes at Southeastern Louisiana University, training programs with SIA including Scaffold Competent Person Instructor and NCCER’s Master Trainer and Craft Skills Assessor/Instructor. Rick Swindle, President of BRACE Integrated Services – Southeast. Swindle is a Licensed General Contractor with 35 years of experience in operations and field management. During his time at ESI, Swindle was instrumental in the development and implementation of the Supervisor Training Program. Since the acquisition of ESI in 2014, he has provided the leadership for transitioning ESI into the BRACE family of companies. Swindle is responsible for leading and directing the Southeast regional managers and sales team. Logan is responsible for managing BRACE’s Midwest Division. Luedtke started in industrial specialty services over a decade ago and has used his experience in project management, scheduling, field coordination, estimation and purchasing to elevate the Midwest Division to new heights. Logan has expanded regional capabilities with substantial growth and new offices in the Bakken and Ohio Valley. His commitment to improved business processes lead him to being an integral part of the design and implementation of a new ERP platform. Luedtke’s commitment to safety has kept the division excelling as an industry leader. Customer Service, and due to that success, has a reputation for high efficiency, quality work, and safety. 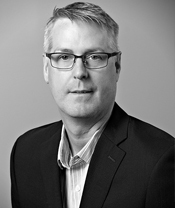 Todd is responsible for leading and advising the organization’s nationwide union contracting group. Todd has a long and successful track record in our industry with a focus on insulation and coatings, and his depth of knowledge in the insulation and siding areas will allow us to continue to grow critical service lines. Todd joined the company in 1986. Throughout his tenure Rouw has developed a strong foundation for the Corporation within the Industrial Services business. He has made significant contributions to the overall success of the organization from developing and implementing the company’s Foreman Training Program, the GAAP and Regional Manager operational structure as well as developing current estimating practices. Beyond Rouw’s education at Iowa State University, he has completed multiple training programs at the Scaffold Institute of Americas, MIKE 2010 trained and holds the accreditation of NIULPE 3E Plus Certified Energy Appraiser and 30 Hr. OSHA.